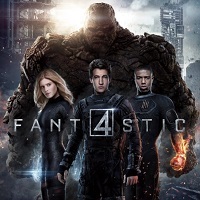 What’s the best thing I can say about director Josh Trank’s take on Fantastic Four? Well, it had awesome trailers, and it’s too bad those trailers weren’t the movie we got. In fact, the really cool action scenes and narrative established in the trailers were nowhere to be found in the movie at all. 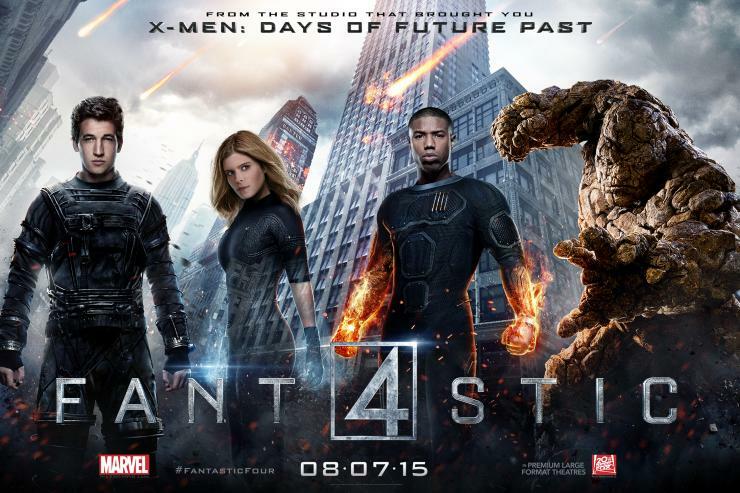 Instead, what we got was tantamount to a hipster spoof on the Fantastic Four. In other words, if you watch it ironically, it might come off as a fun movie. That’s how the writers, producers, director and even the cast seemed to approach it, anyway. The problems start from the beginning when young Reed Richards and Ben Grimm meet in fifth grade. The whole situation takes place in 2007, but feels like something straight out of 1987. Reed sneaks into the Grimm family’s junkyard to steal a transformer for his “teleporter,” and winds up taking the transformer and Ben to his parent’s garage to show off his invention. Trank’s love of 80’s movies like The Explorers and Stand By Me are apparent. Too bad he lacks the filmmaking sensibilities to know that putting those ideas in the modern-day context doesn’t work. If that setting had been in 1997, it would have at least still seemed somewhat plausible. But in 2007…nope. Even less plausible is passing Miles Teller off as an 18-year-old at a school science fair just seven years later. In fact, there aren’t any other high school kids around in that scene. And the explanation for why Franklin Storm is even there scouting “talent” is never really addressed. It’s just…there. Nevertheless, Reed gets a big scholarship to study at The Baxter Institute and build his teleportation device on a bigger scale. As you might guess, hilarity ensues. And by hilarity, I mean crushing dullness. Trank introduces ideas in his take that could have easily worked as a great, fresh take and especially as a much-needed refreshing spin on origin stories. Sadly, just as the film starts to touch on these, it abandons them in favor of ham-fisted exposition. And oh boy, the exposition! How many times can you explain what the project is and how Reed’s a genius before the audience glazes over and looks as bored as Kate Mara’s Sue Storm? Hey, know why they call her The Invisible Woman? Because she only shows up enough to remind you she’s in the movie at all! Being that she’s the only woman with any speaking part in the whole movie, you can see where some of this movie’s other failings come from. Speaking of waste, pretty much the entire cast is squandered here. They’ve all given great performances in other films or TV shows, but in this, they just look exhausted. And when you hear the dialog, you’ll know why. It’s tough to imagine how the mind that gave us the great X-Men: Days of Future Past also churned this out. Once Michael B. Jordan’s Johnny Storm is introduced, it brings some much-needed levity to the proceedings, but it doesn’t last long. He gets sucked into the black hole just like the rest of the cast, and no, I don’t mean the rip in reality to the other dimension. Oh, but let’s not forget this movie’s greatest misstep: Doctor Doom. No, he wasn’t an “angry blogger” as rumors had suggested, but he wasn’t far from it. He apparently had similar ideas to Reed’s on interdimensional travel, but we never see any evidence of that. He just broods, snipes at everyone and has pretty much no likeable quality whatsoever; his delivery, least of all. Not that the material Toby Kebbell was handed held any real promise of greatness. And when he’s left behind on the group’s first drunken (yes, drunken) trip to the new dimension, he would have been better off being left there forever. Oh, but the movie isn’t done yet. It jumps ahead a year after the group nearly died and came back with new powers and, in Ben Grimm’s case, horribly transformed into a giant rock monster. And, of course, they all work as “covert” weapons of the U.S. government now. Except Reed, who has managed to hide for a year without even so much as a day of outdoors experience. But he escapes a government facility in the middle of nowhere without being detected. Because…reasons. When we finally get to the film’s third act, we’re introduced to a deformed Victor Von Doom who somehow survived a year in the other dimension. Don’t worry about how, just go with it. But not only that, he’s got some vaguely defined telekinetic powers and he proceeds to recreate a scene straight out of Akira. Lots of exploding heads for a PG-13 movie. Was it supposed to be funny? I don’t know, but I was laughing all the way through the final confrontation with the reunited foursome. There was so much ham and cheese, you could make at least two sandwiches for every minute of the final battle. At least it’s over quickly. So quickly, it’s hard to feel like it was really much of a threat. But it leaves a giant crater behind, so…there’s that. This all serves as a setup for the group now working independent of the government, but with government funding…maybe? That part isn’t really clear. It’s not really suggested any member of the group had any money to work with so, that’s got to be it. Not that it matters much. In the amount of time it’ll take to reboot this again, we’ll most likely have forgotten this one even existed. If their performances were any indication, the cast hopes you will, anyway.